Frankie Rose has a reputation around here. And by here we don’t mean here, we mean Brooklyn. And by reputation, we mean her minimal, Maureen Tucker-like beats and iconic presence in such buzz-stirring bands as Crystal Stilts, Dum Dum Girls, and Vivian Girls. Those groups spearheaded a scene that mixed the sounds of lo-fi garage, big reverb-drenched Phil Spector-produced 60s girl groups, the noise aesthetic of the Jesus And Mary Chain with a touch of Velvet Underground and a strong DIY ethic to create a sound that’s influenced a new generation of bands around the world. At least that’s what she’s been known for up until now. As you’re about to hear on her new group’s self-titled Memphis Industries debut, Frankie Rose and the Outs have their heads in the clouds a bit more than Rose’s previous projects. Listening to the ghostly golden-oldie grooves of songs like “Girlfriend Island,” “Candy” and the pedal-pounding “That’s What People Told Me,” it’s as if the Cocteau Twins and Shangri-Las tracked a split LP with the help of a time machine and a freshly-acquitted Phil Spector. All in the name of making “beautiful, serious music” that reaches well beyond simple Wall of Sound nods. That’s because Rose is more concerned with maintaining a specific mood than rehashing the hooks your parents lost their virginity to. Sometimes that means channelling the psych climaxes of Spacemen 3 (the chord-gnashing lead guitar of “Thee Only One,” Rose’s solo single from 2009), and sometimes that can mean fusing a rickety rhythm section and galloping riffs with the spectral trails of Julee Cruise (the Rose-penned Vivian Girls cut, “Where Do You Run To?”). Frankie Rose and the Outs is full of such lovely juxtapositions. From the galloping reverb symphony of “Little Brown Haired Girls” to the tough garage swing of “That’s What People Told Me” and “Don’t Tred” to the soaring chords and angelic harmonies of the well-chosen Arthur Russell cover “You Can Make Me Feel Bad,” it’s clear that Rose has finally found the perfect vehicle for her musical inspiration. 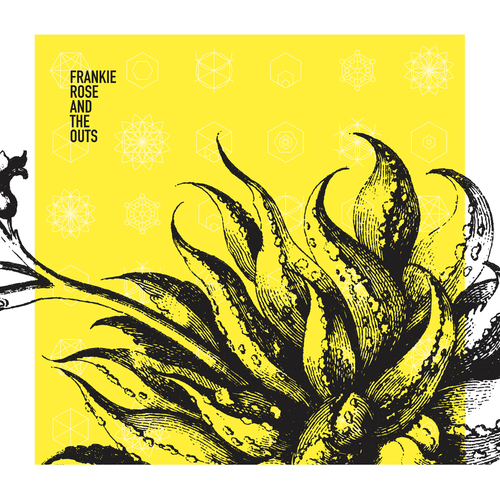 Unfortunately at this time we can't offer all the Frankie Rose and the Outs - Frankie Rose and the Outs tracks as individual mp3s, as some of these tracks exceed the shops maximum (9mins) download length.